More pages, more than 40 articles, more than 130 brands, more content for an Autumn/Winter in the name of keywords like genuineness and authenticity, validity and originality, leitmotifs of the conversation with top designers for Collezioni Haute Couture & Sposa Magazine and Collezioni Trends Magazine . A need for authenticity and reality that we have tried to capture not only in the three photo shoots, one whose protagonists are some students of the Istituto Europeo di Design (IED) in Milan, the other a set of characters from London and finally the third dedicated to a Magazine Publisher, as a whispered hint of the forthcoming Summer Season trends in India. But also in all the other sections of the magazine, from the Buyer's Guide to the Catwalks, from the Style Musts to the News. our globetrotter spirit prompted us to find trendy retailers in Russia and Canada, London and Copenhagen and we also had a look to Eastern Europe, where we found a number of labels and designers whose work is indicative of a lively and vibrant cultural and artistic scene especially for the Collezioni Accessories Magazine and the Collezioni Uomo Mens Magazine. An issue of our Collezioni Baby magazine that wants to read next season like a reportage, looking for reality and authenticity, for true and original stories, for originality and innovation with an anthropological approach, between fashion and reality. 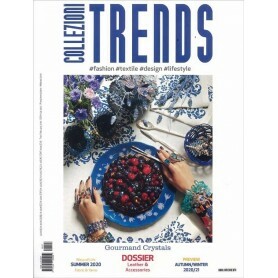 Collezioni Magazines are one of the best Up to Date Fashion Related Magazines with best reports on Children, Baby as well as women. 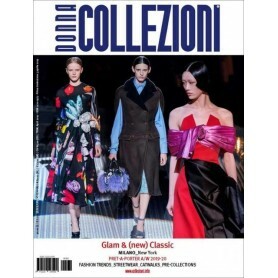 For Women’s Trend Reports and Fashion analysis the best Collezioni Magazine for Subscription would be the COLLEZIONI DONNA prêt-à-porter Magazine which has several High Quality images on Women Fashion.